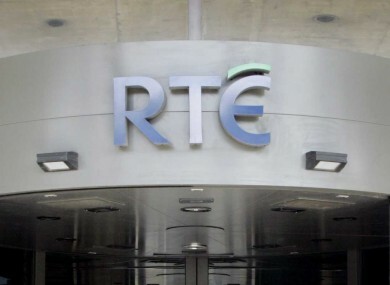 RTÉ FACES A fine of around €200,000 for the libeling of Fr Kevin Reynolds following an investigation into the Prime Time Investigates programme by the Broadcasting Authority of Ireland (BAI). A report commissioned by the authority has found that the Mission to Prey programme, broadcast almost a year ago, was unfair to the priest and breached fairness, the Irish Times reports. The paper’s political reporter Paul Cullen says that RTÉ faces a fine of around €200,000. TheJournal.ie understands that this figure is accurate. Under legislation, the maximum fine the BAI can levy is €250,000. BAI would not comment on the sum when contacted today. The report has not yet been made public but in response to it, the State broadcaster announced the scrapping of the Prime Time Investigates programme as well as the retirement of Managing Director of News and Current Affairs Ed Mulhall and the reassignment of Current Affairs Editor Ken O’Shea. RTÉ also announced the convening of an external investigation board and new journalism guidelines in the wake of both the Fr Reynolds defamation case and the ‘Tweetgate’ issue arising from last October’s presidential election. RTÉ said it would be responding to the covering letter and report in due course and declined to comment further. Meanwhile, Fr Reynolds has told the Irish Independent that he does not wish to see anyone sacked from the broadcaster following the controversy over the programme. He told the paper he was putting the saga behind him. Read: RTÉ brought in new journalism guidelines – what’s in them? Read: What happens to the rest of the ‘A Mission To Prey’ crew? Email “RTÉ facing €200,000 BAI fine over Fr Kevin Reynolds libel ”. Feedback on “RTÉ facing €200,000 BAI fine over Fr Kevin Reynolds libel ”.